Shaw Hospitality, a design leader in commercial flooring solutions and surfaces, is pleased to introduce Synchronize, a custom carpet collection which captures the harmonious balance showcased when people collaboratively work together. 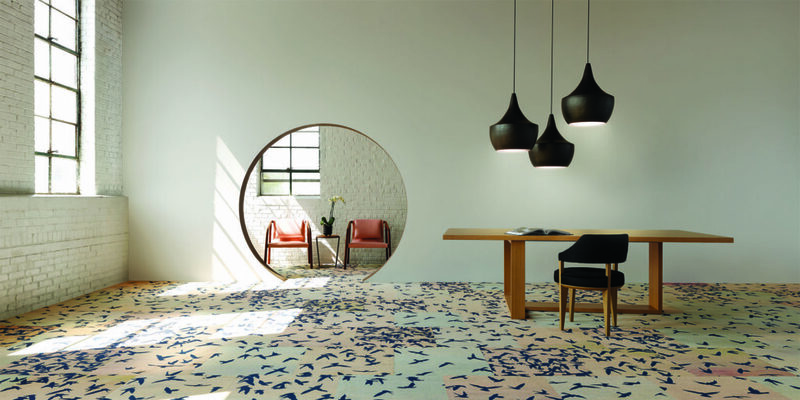 This collection is an innovation created with colorpoint and Canvas, Shaw Hospitality’s new dye-injection technology, to produce custom, large-scale carpet tile with a distinctive aesthetic unlike any other flooring product on the market. 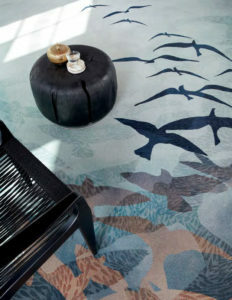 The flooring designers were drawn to murmuration, the act of massive flocks of starlings moving fluidly in unison throughout the sky. There’s no single leader. Instead, bird flocks form massive waves of movement in symphony and unison together. Murmuration reflects what we as humans can do in cadence with one another – traveling, working and moving through a space, fluidly and in tandem to produce something incredible. Recognizing the vast need for varying pattern scale, square footage and budgets, the collection offers three different manufacturing technologies inherent to the needs of hospitality designers. The machine-tufted patterns offer precision pattern details and capture a carved aesthetic in multi-level cuts and loops in patterns designed specifically for larger open hospitality areas, rugs and corridors. The high-resolution, dye-injection patterns achieve unlimited capabilities in color and style, capturing the watercolor backdrop of clouds with both abstract and realistic starlings in flight. These patterns create further design opportunities and solutions for end-use needs unique to commercial design. These include easy entrance to raised-access flooring, ability to install one room at a time with little disruption to other property areas and maintenance ease of 100% nylon carpets. Though shown in atmospheric shades, the collection is customizable in 280+ solution-dyed nylon colors and unlimited dye-injection colors, providing additional options and solutions for designers. Supporting Shaw Contract’s ongoing sustainability efforts, this collection is guided by the Cradle to Cradle Certified™ Products program with a focus on material health and reutilization, renewable energy, water stewardship and social responsibility. At Shaw Contract, we believe that the ground beneath your feet should have a positive impact on how you live, learn, work, heal and play. We strive for design excellence in everything we do – from conception to production to installation, it’s what sets us apart. 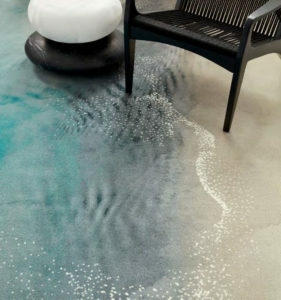 We make flooring that delivers a purposeful blend of design elements, materiality, sustainability and performance. Every day we take on creative challenges to research, design and innovate inventive flooring solutions that transform spaces across the globe. For more information, visit www.shawcontract.com. Shaw Contract believes innovative design inspires change.